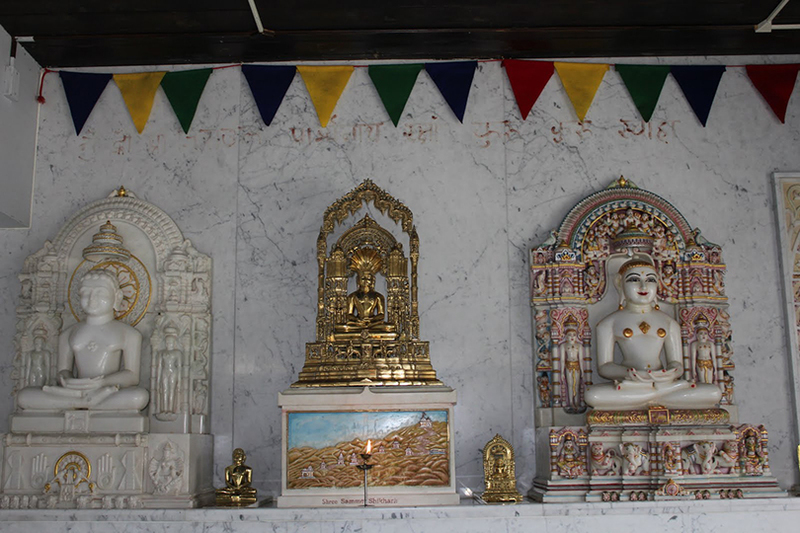 The Jain Center of Greater Boston was established in 1973 and, in 1981, was the first center to have a temple. 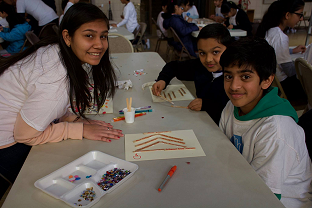 JCGB also sponsors The Jain Way of Life and serves over 300 families in the Greater Boston Area. It offers a variety of services including a Jain Pathshala, a Jain directory of North American Jain families while helping live and share the Jain Way of Life. 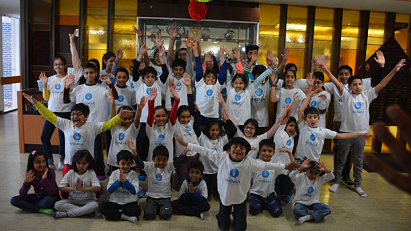 Another amazing winter camp successfully organized by a bunch of teachers at Jain Center of Greater Boston. Kids participated in dance, yoga, projects, and presentations on Jainism. They also had a special guest speaker to talk about Food Waste. The center thanks to all the sponsors who make this bit easy on the parents. It was wonderful to see the creativity, intelligence, and presence of mind of these young kids. Jain Center of Greater Boston (JCGB) celebrates 18 days of Paryushana and Das Lakshan Parva every year. This year we had labh of two distinguished scholars from India – Prof. Abhay Doshi of Mumbai University during the Paryushana Parva and Dr. Abhay Dagedeji for Das Laxan Parva. Dr. Abhayji concluded the Das Laxan Parva with beautiful Das Laxan Vidhan and Pratikraman. 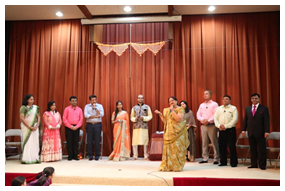 The Tapasvi Bahuman and Swamivatshalya program were celebrated on Sunday, September 30, 2018. The names of tapsavis who did 8 or more Tapascharya are listed below. A small skit depicting “Sat Sukh and Delusion of Sukh” was performed by Shrimad Swadhyay group and was very well received. Jain Center of Greater Boston had great Diwali celebrations. They started celebration with Namokar Mantra by Mummies and kids followed by amazing performances by Pathshala kids during the. Kudos to all the teachers who have worked so hard along with the kids. JCGB appreciates to all the volunteers who are always ready and willing to do selfless services. 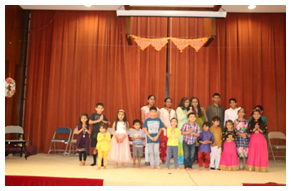 Jain Center of Greater Boston celebrated Paryushan and Das Lakshan with great enthusiasm and spirit. For this year’s Paryushan pravachan, we were fortunate enough to have Sadhviji Dr. Sahejaji with us who believes that religion should not be confined to traditions but also be practiced in our daily conduct. Sadhviji’s morning pravachan covered "Loggass Sutra Vivechan" and evening pravachan were about Life of Lord Mahavir from different angles. Specially focusing the children, Sadhviji encouraged us to celebrate Mahavir Janm Mahotsav and conducted Pratikraman in simple English so children could grasp the essence of Pratikraman. For this year’s Das Lakshan pravachan, we invited Pandit Tikamchandji Jain who possesses great breadth and depth on Jainology. Panditji’s daily pravachan covered Panchastika book and ten Dharma. Panditji also conducted Panch Parmeshthi Vidhan which is probably the largest vidhan conducted at JCGB this year. At the end of Paryushan and Das Lakshan, we had a Kshmavani Day Celebration. The program included Kshamavani message, rewards to children for doing small austerities and Tapasvis' bahuman, followed by Sangh Swamivatslya.